At the Chrism Mass the bishop blesses three oils — the oil of catechumens, the oil of the infirm, and holy chrism — which will be used in the administration of the sacraments throughout the diocese for the year. The Chrism Mass is scheduled for 4:00 pm, Monday, April 15, 2019. 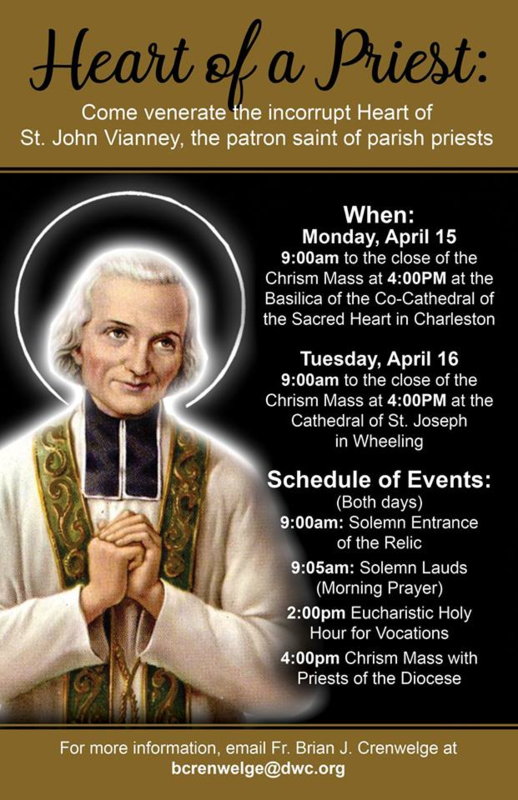 Veneration begins with a solemn entrance at 9:00 am and continues to the close of the Chrism Mass. A Eucharistic Holy Hour for Vocations is scheduled for 2:00 pm. Everyone is welcome and encouraged to attend.